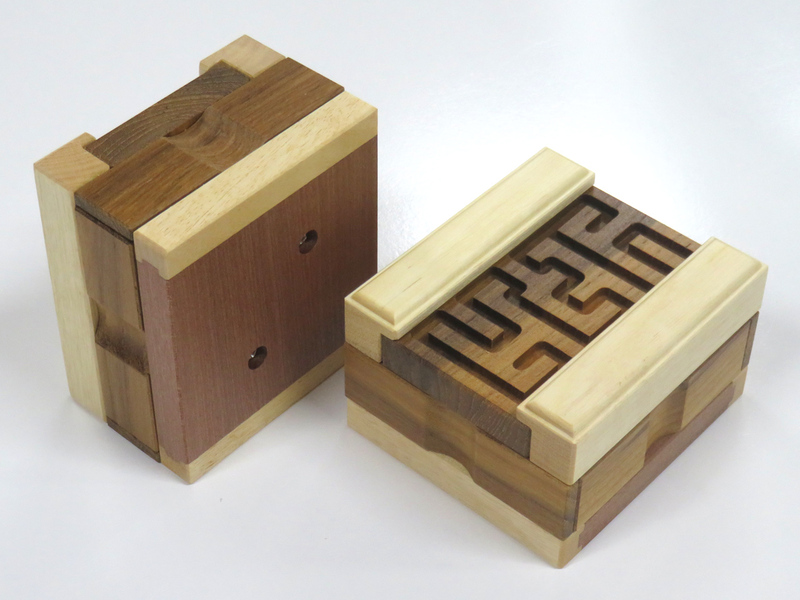 We have started selling our new puzzle "Meanders Box." 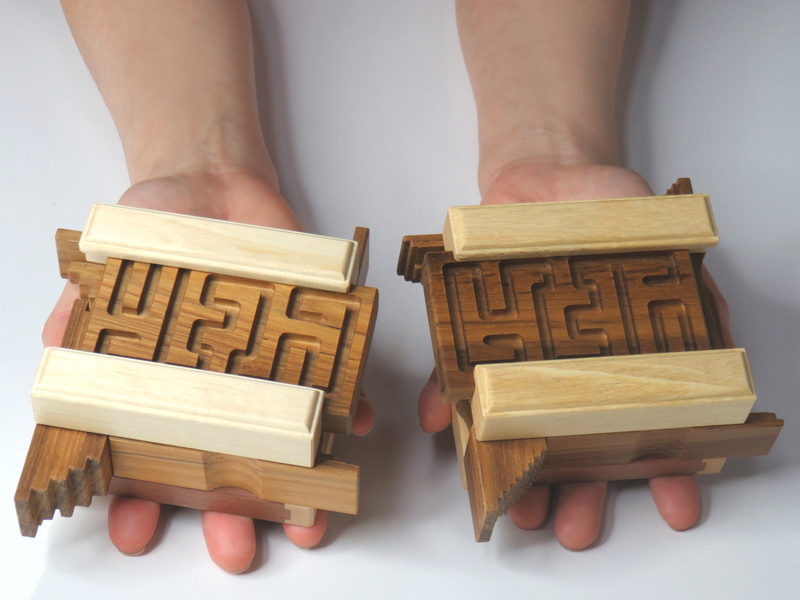 There are two types of Meanders Boxes. Both Meanders Boxes have very high level solutions and it requires 172 or 348 moves to fully disengage the grooved lid. 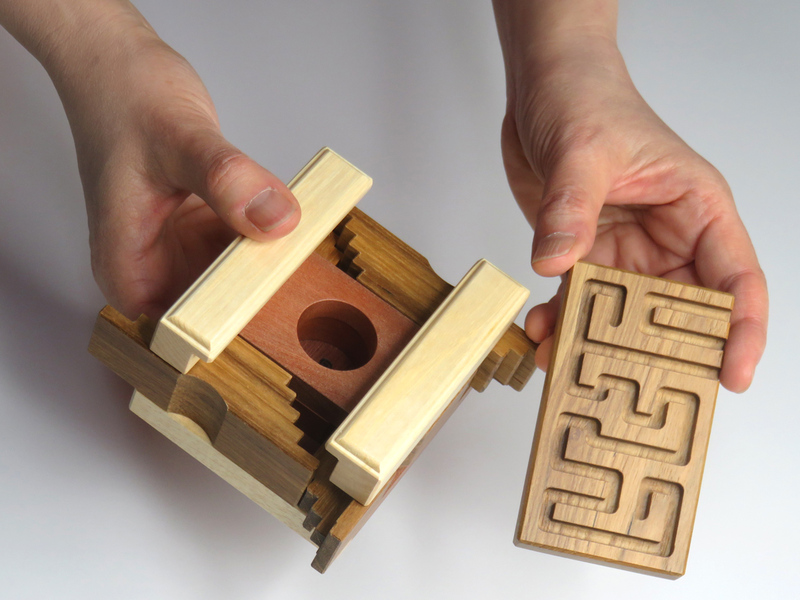 The puzzle also has multiple challenges. By rotating or flipping the lid, there are four possible orientations and each orientation has a unique solution. It is a very difficult puzzle indeed. Juno had no intention to remember the solution of the puzzle and decided to cheat by adding two screws on the bottom of the box to easily assemble or disassemble the box. If you are stranded in the same way as the meanders of a river, you can disassemble and reset the box. Three kinds of timbers, Burmese Teak, Rose Alder and Silver Ash are used for the puzzle. Burmese Teak is beautiful and durable timber though it makes every woodworking blade dull very quickly. 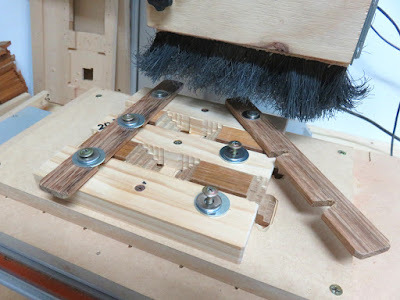 We decided to introduce a drum sander in our workshop to deal with the issue and the drum sander started working for the puzzle straight away. 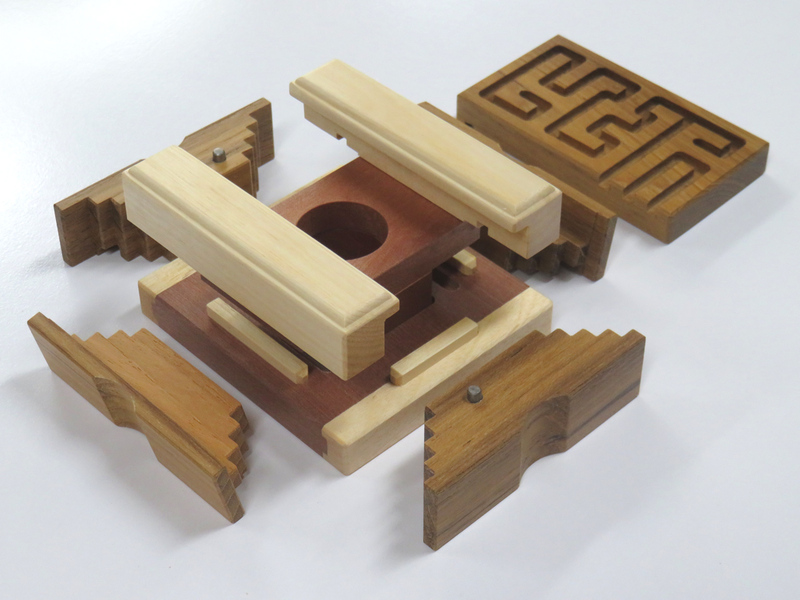 Maybe we can introduce our drum sander someday on this blog because Juno customized it a lot and you may be interested in what he has done for puzzle making jobs .